It’s finally Friday and we’ve got cold boozy drinks on the mind already. 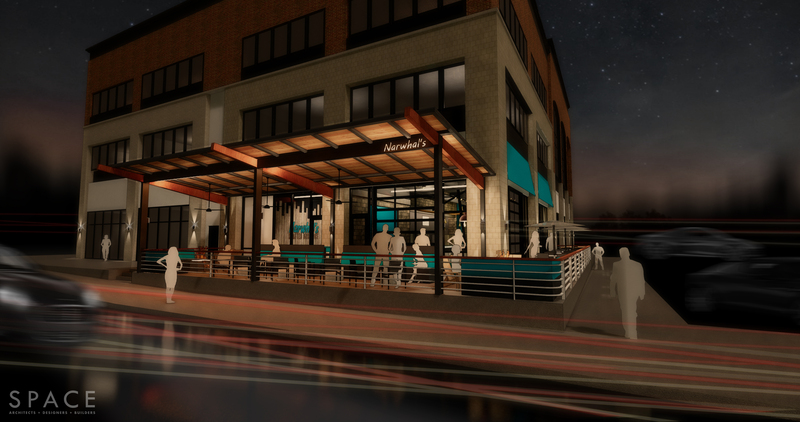 Seems like a good time to share some renderings of the new Narwhals’ at The Streets of St. Charles, scheduled to open in the spring. (Click on the images to enlarge them.) Located just south of Highway 70 at the river, the brand-new building is still under construction, but we’ll be ready to hit the ground running as soon as the space is ready. 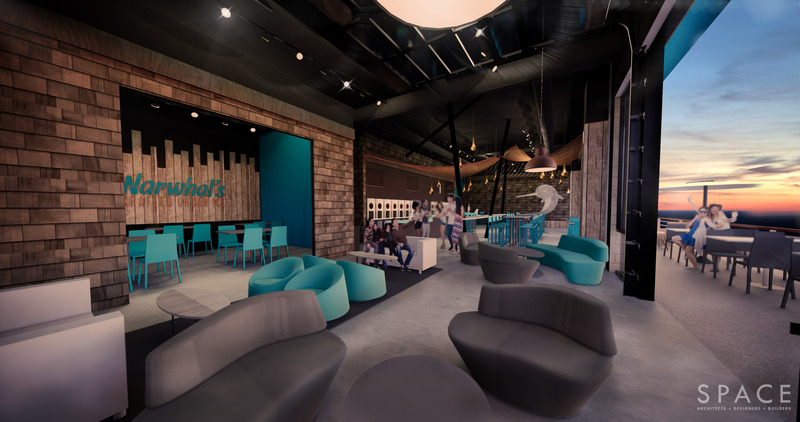 The new Narwhal’s will be twice as big as the first location in Midtown, and the owners, Brandon and Brad, want it to have its own unique personality while paying homage to the original. 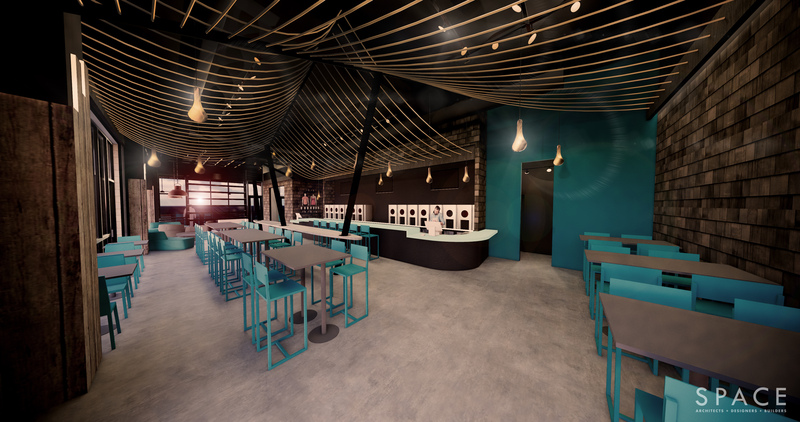 Look for quadruple the lounge seating, two garage doors that open to patios with three firepits, and a blue glowing drink rail in the bar. It’s always tons of fun to work with Brandon and Brad, and we’ll post more updates as the space is built out!